If you’re a true Floridian then you’re familiar with the tales of the Fountain of Youth. Dating back to the 5th century BC, legends of mystical waters that restore the youth of those who drink and bathe in it existed and were passed on for generations. In 1513, Spanish explorer Juan Ponce de León even traveled the world and discovered Florida in a rumored search for the fountain. Whether fact or folklore, the Fountain of Youth is part of Florida’s rich history. It adds a bit of magic to our state’s intricate past. In honor of the legend, we’re sharing five modern-day beauty products to make your skin look young, lively, and just as magical as the fountain would. Are you starting to see signs of aging for the first time? This is a common occurrence in your twenties and thirties. 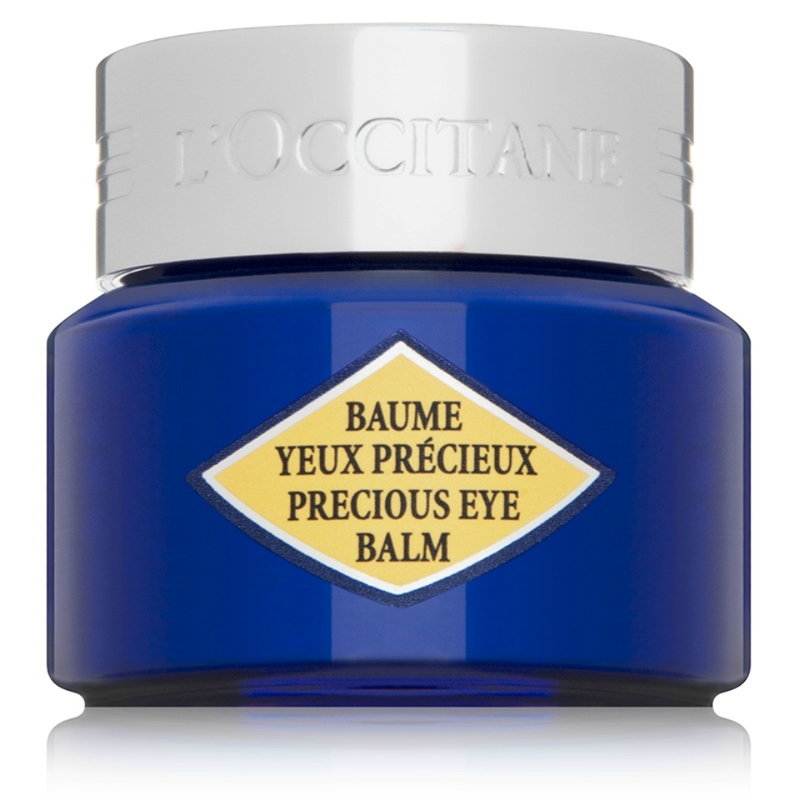 Thankfully, L’Occitane has the perfect plan to delay the hands of Father Time. The Immortelle Precious Eye Balm is a smoothing and firming eye treatment to reduce dark circles and puffiness the moment they start. Immortelle, known as the everlasting flower, never fades. The organic essential oils from the blossom are plucked from an organic plantation in Corsica and infused into the balm. Feel fresh as a daisy – or immortelle! 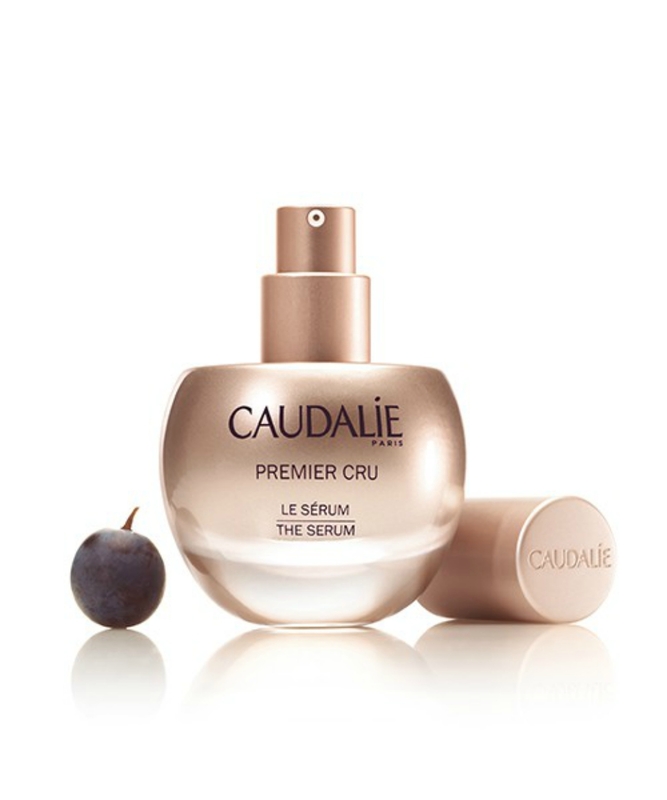 Caudalie’s anti-aging Premier Cru serum is a wonder in a bottle. The patented Vinergy complex restores cells, energizes skin, and acts as a true efficacy booster. In a clinically trial, the serum produced noticeable results within seven quick days. Caudalie gets extra points for its sleek gold bottle that will look perfect on your vanity. Want to hear a scary truth? Approximately 90 percent of aging is due to sun damage. That is a staggering statistic if we’ve ever heard one! Stay protected from your UV rays foes with an aggressive anti-aging regimen and a preventative SPF. 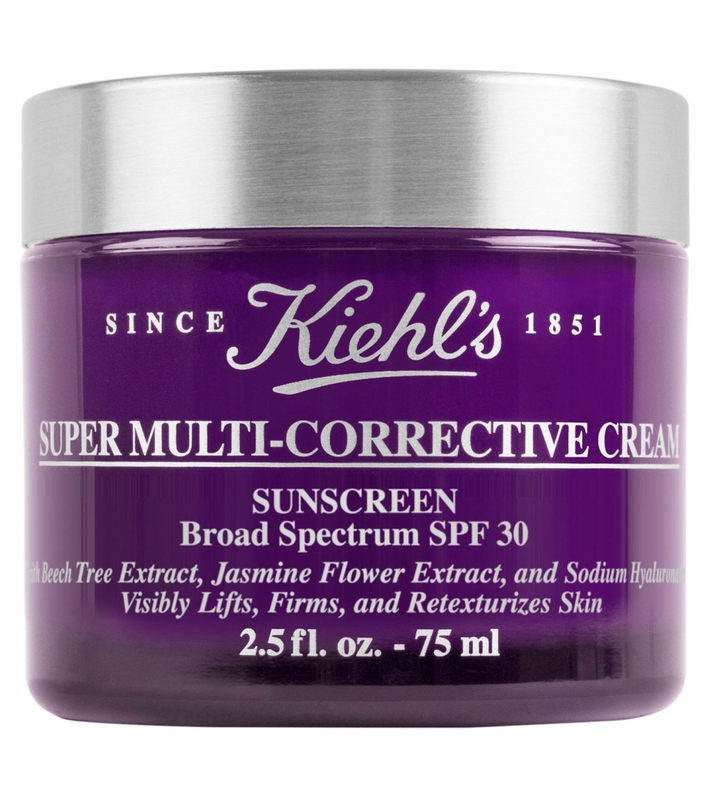 Kiehl’s Super-Multi-Corrective Cream SPF 30 is a moisturizing solution that offers a shield from the sun. The treatment will offer all-day hydration, retexturize your skin, and lift less supple areas of your face and neck. The cream’s jasmonic acid will work throughout the day to self-repair your exterior and correct fine lines. As we age, it’s more than common to discover that your skin’s natural tone is changing. The accumulation of dark spots can happen with age, sun damage, and even genetics. 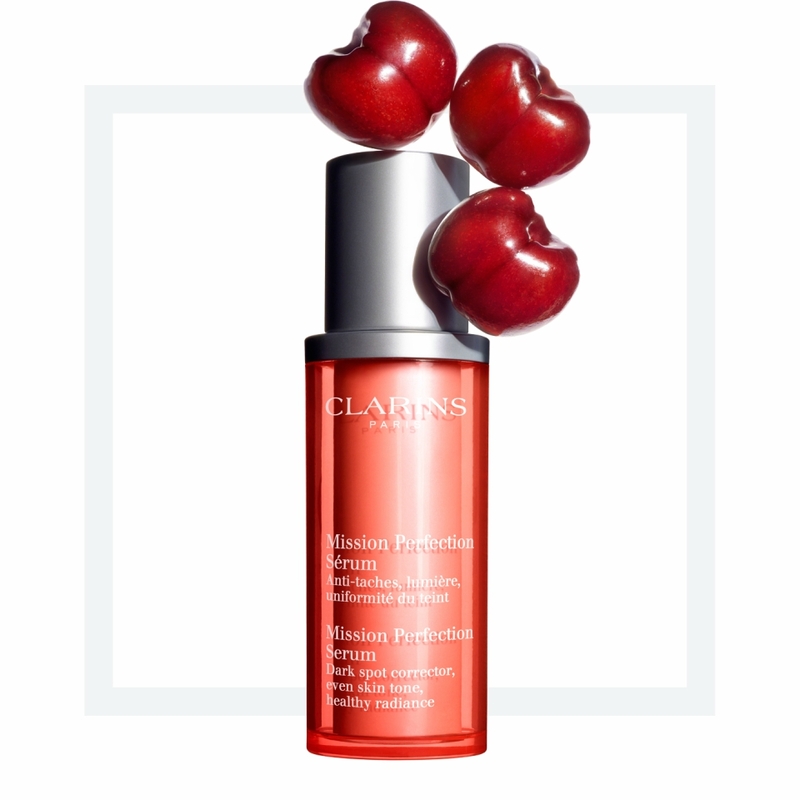 Tackle the discolorations in your skin with Clarins’ Mission Perfection Serum. The formula’s gingko biloba and acerola fruit will tackle your trouble spots and illuminate your skin. Mission accomplished. Sleep can play a factor in weight, health, and you guessed: aging. While clocking in eight full hours of dreaming, be sure to add a nighttime skin care plan to your routine. 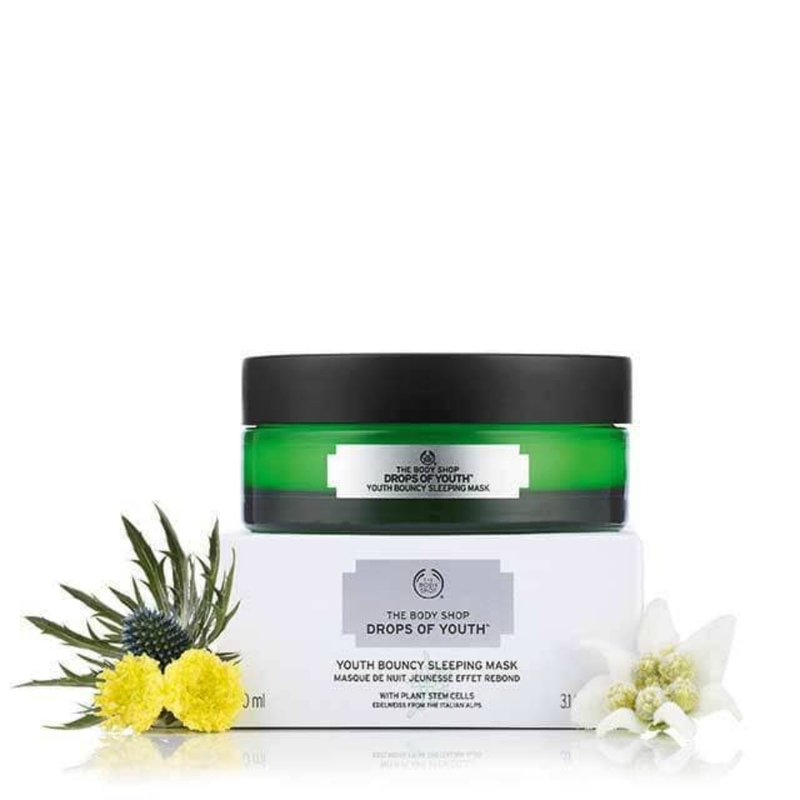 The Body Shop’s Drops of Youth™ Youth Bouncy Sleep Mask is a refreshing and revitalizing solution to put on right before bed. Pamper yourself with this 10-minute facemask twice a week in the evening and wake up with skin that’s smooth and rested.